Hi beauties!! How's it hangin'?! So I just wanted to drop in really quick today and share with you my new breakfast obsession... 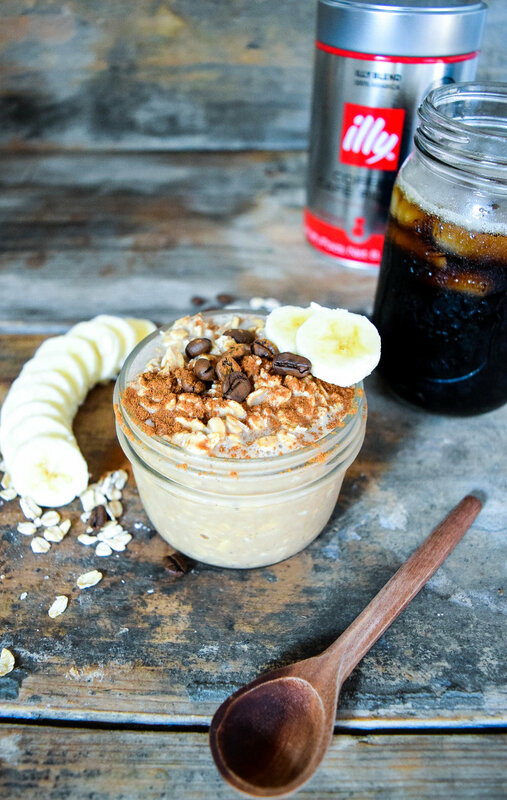 VANILLA LATTE OVERNIGHT OATS. Because, like, heaven is for real. ALSO. Big shoutout to illy coffee for inspiring this yummy dish and for becoming my new favorite cold brew this summer! -> Love ya, mean it. It's been so hot here in Cali this month (like 100+ degrees, yikes) so hot coffee has been a big NUH-UH for me lately. But like any sane person, a gal needs her coffee. So I've been really into cold brew! It's so stupid easy to make cold brew. I always thought you had to be a scientist to pull it off. But nope. If I can do it, so can you. BTW - If you're looking for a cold brew set up and some bomb coffee, I def recommend illy. Then this past Sunday when I was getting ready to make some overnight oats for the week I was like WAIT A MINUTE. 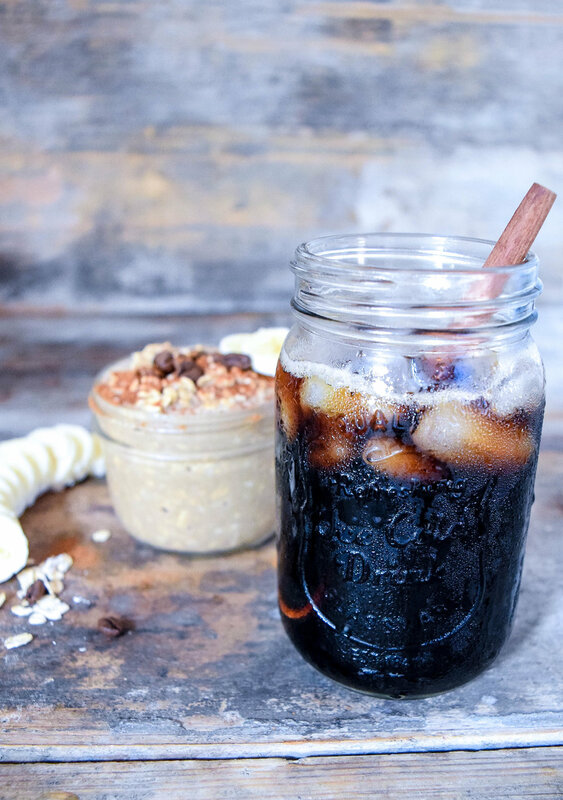 COLD BREW + OVERNIGHT OATS = BEST IDEA EVER. SERIOUSLY. You guys trust me. It's so good. Alright I said I'd be quick, so I'm going to run. But promise me you'll try this recipe. You can find it below! And try out illy coffee!!! You will not be disappointed. Combine all ingredients in a sealable jar. Stir and shake until all ingredients are well blended. Seal jar and place in the fridge to sit overnight. Enjoy in the morning with sliced bananas and other fruit as desired!